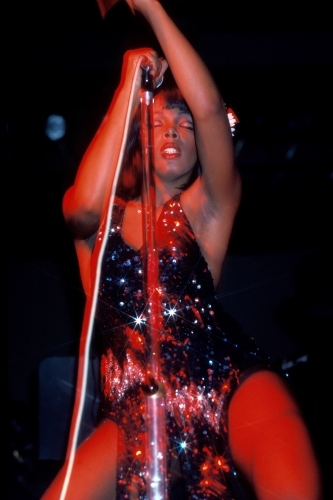 Hotter than Hot Stuff, Donna Summer became the queen of disco, her star shining brightly for decades after the era. With a voice that was at times ethereal, an abundance of hair and a killer attitude, Donna was the glamorous female icon to both women and the gay community of the generation. Born in Boston, Donna’s first floored onlookers with a recital at her Church at the age of 10. She put herself on the map with 1975’s Love to Love You Baby, her silky smooth, near whispered vocals and orgasmic moaning both scandalising and enrapturing listeners. So much so that the BBC flat out refused to play it. 1977’s I Feel Love broke new musical ground, it’s then that the revolutionary combination of all electronic backdrop with Donna’s now famous vocals helped to chart a new direction for pop music, a direction the genre still follows. 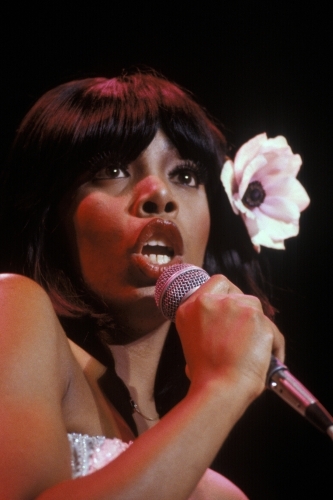 As well as being the first black woman to earn an MTV Video Music Award nomination, Donna’s determination to flourish won her 5 Grammys, 19 number ones and a place in the Rock of Roll Hall of Fame. When Donna passed in 2012, she left a legacy bigger than her music, her style directly inspired the next generation of pop divas.